Welcome to East Coast Mortgage Group! East Coast Mortgage Group is a mortgage broker that is located in Auburn, Maine that offers the best rates, terms and fast closings throughout the State of Maine. 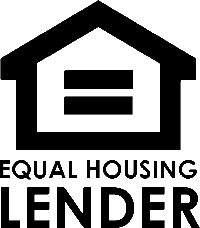 Since 2007, East Coast Mortgage Group has been a mortgage company that has excelled to meet the needs of Maine communities within Lewiston, ME, Auburn, ME and Portland, ME with the best Maine mortgages. East Coast Mortgage Group has since grown to provide Maine communities statewide including Portland, ME, South Portland, ME, Scarborough, ME, Augusta, ME, Bath, ME Brunswick, ME, Saco, ME, Kennebunk, ME, York, ME, Wells, ME and Sanford, ME with their mortgage needs, while providing excellent service to its customers. East Coast Mortgage Group is committed to providing clients with the highest quality home loans combined with the lowest mortgage rates available in all of Maine. Whether you are a first time home buyer, purchasing your dream home, refinancing an outstanding mortgage, or consolidating debt we have a program for you! We also offer the industry’s best Government sponsored mortgages, such as 100% LTV for VA financing, FHA and the 100% LTV USDA Rural Development Guaranteed Mortgage. Our team is excited to serve your needs by working out real solutions to your mortgage financing requirements. As a broker we have the flexibility to offer a variety of lending programs from several mortgage companies that will assist you and provide you with the best mortgage solution for your needs! Call us today and our highly experienced team of Loan Officers can help make your dreams come true! We are located in Auburn, Maine and we offer an unparalleled mortgage service to clients throughout the entire State of Maine! For your convenience we offer “in home” and after hour appointments! Save money by taking advantage of the lowest rates available. Use this FREE self-help tool to determine exactly what type of refinance solution is best for you. Use your home to help eliminate debt & bundle your bills into one 1 monthly payment. Use this FREE self-help tool to determine exactly what program is best for you.